I own Lumix 14-42. A decent lens. AF-C works OK. But the zoom ring is... so cheap. No damping at all. I just bought GH1 + 14-45 at $650 from Adorama. After 3% cashback from mrrates.com, net total is $630. I plan to sell a set of new GH1 body and 3 months old 14-42 around $500 + shipping. Hopefully higher price at ebay. Basically $130 or less for replacing 14-42 with 14-45. Is 14-45mm so much better? Can you compare them, including build quality and optical quality? >Can you compare them, including build quality and optical quality? About build quality, I owned a 14-42 and own a 14-45, and both seem very cheap to me. I don't really remember about damping with the 14-42. But I am more interested in his personal opinion. A quick look at MTF charts comparison says 14-45 has sharper corner. http://forums.dpreview.com/forums/readflat.asp?forum=1041&message=34741510&changemode=1 That is consistent with what many people said. Build quality... 14-42 has plastic mount... 14-45 metal mount. I will do my own test when I get it. 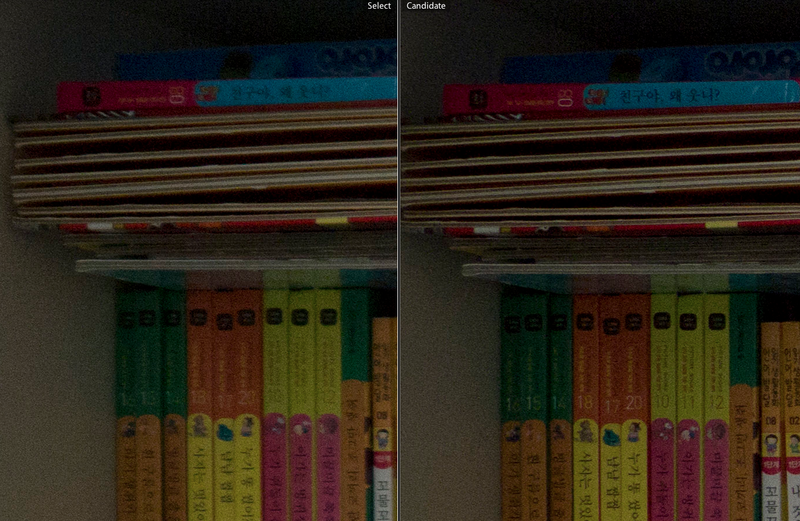 I found the 14-45 slightly sharper, but as for whether it makes a difference in video I can't say. In photos it is very slightly sharper. I just got 14-45 delivered to my door. Smaller and heavier. Bigger front element. Yes shiny metal mount. Zoom ring has more damping. Convenient OIS button. Overall more solid and better looking than 14-42. At both ends especially at longer end, 14-45 showed more corner sharpness in photos. I haven't done video yet. Last year I heard 14-45 is on par with 14-140. Definitely a keeper. This is a no-brainer upgrade. 14-42 going to ebay with a new GH1 body. BTW 14-42 made in china. 14-45 made in japan. Yeah. It is kind of cool. You could tell your children that back in the past Japan produced electronics, and, you don't believe that, even lenses. But each yeah less and less people will believe you. upper left corners on sample photos shown here. 14-45 5.6 @45mm on the left is sharper. 14-45 3.5 @14mm on the right is sharper. i have flashes... but me too lazy. 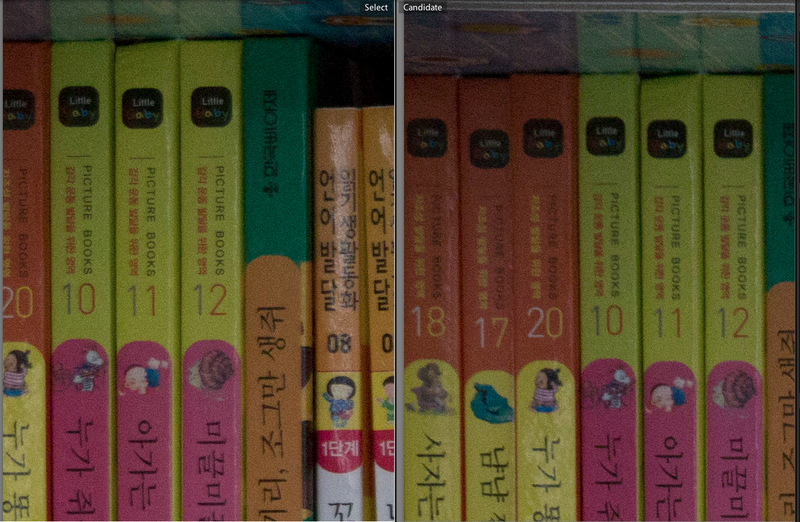 not a big fan of pixel peeping... but lightroom 3 made it so easy. just press 'C' to compare with prev photo. it synchronizes zooming and positioning, too. One of the nice things about the 14-45 is that the 14mm is really a nice image. It isn't just the sharpness, it is like have a reasonably good 14mm lens, just not as fast. OTOH, the 20mm takes better pictures and video, and with a wide angle adapter, takes amazing video in the 12-14mm range. That sounds right, but I prefer a zoom sometimes. M43 kit zooms are quite nice for photo. I have 20mm pancake, too. B&H sold out GH1. I think Adorama has only 4 GH1 units left. I'm going to sell new GH1 body & used 14-42 lens combo in ebay.